Medicare Supplement carriers experienced another year of membership growth as the number of Medigap beneficiaries continues to increase, according to the latest report from Mark Farrah Associates (MFA) released last week. Many leading managed care organizations, Blues plans, regional plans and multiline carriers compete in the Medicare Supplement (also known as Med Supp or Medigap) arena. 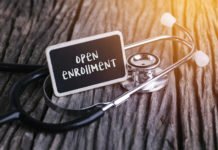 Based on performance data filed in annual financial statements from the National Association of Insurance Commissioners (NAIC), enrollment in Medicare Supplement plans was almost 13.1 million as of Dec. 31, 2017, up 3.8% year-over-year. MFA identified 193 distinct carriers that filed annual data with the NAIC. This brief provides an overview of the Medicare Supplement market with insights about competitive positioning and standardized plan type preferences. With approximately 4.5 million members, UnitedHealth, with its longstanding AARP partnership, continues to dominate the Medigap sector. Breakdowns of in-force policies show that carriers issued policies to more than 5.4 million new members from 2015 through 2017. 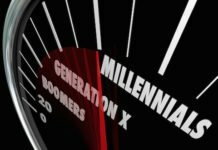 Carriers reported an aggregate of 7.6 million members covered by older policies that had been issued prior to the year 2015. 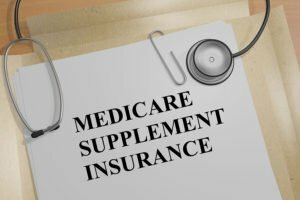 Medicare Supplement carriers added approximately 480,000 covered lives to their portfolios between Dec. 31, 2016 and Dec. 31, 2017. About 35% of this market growth is attributed to UnitedHealth’s membership increase. In terms of standardized plans, the number of beneficiaries enrolled in the most popular plan – Plan F – increased by 181,000. In addition to having the most comprehensive benefits, Plan F provides “first-dollar coverage”, meaning it covers the annual Medicare Part B deductible. 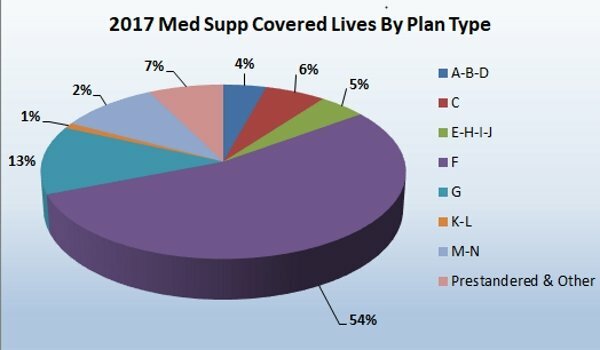 Per the graph below, Plan F enrolled almost 7.1 million Med Supp members and accounted for 54% of the market. However, due to a provision in the Medicare Access and CHIP Reauthorization Act of 2016 (MACRA), beginning Jan. 1, 2020, Plan F will no longer be an option for newly eligible Medicare enrollees, whereby supplemental plans covering the Part B deductible can no longer be purchased. Beneficiaries who continue to pay their existing Medicare Supplement Plan F premium will not lose that coverage. 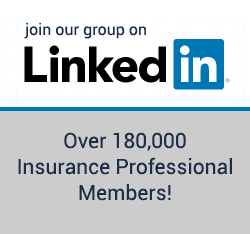 As expected by industry experts, the policy change has begun a shift in growth from Plan F into Plans G and N which are widely seen as viable alternatives to Plan F. In 2017, Plan G grew by 393,000 members, a growth rate of 31%, while membership in Plan N grew approximately 138,000, or 12%. Medicare Supplement remains an attractive line of business for carriers. 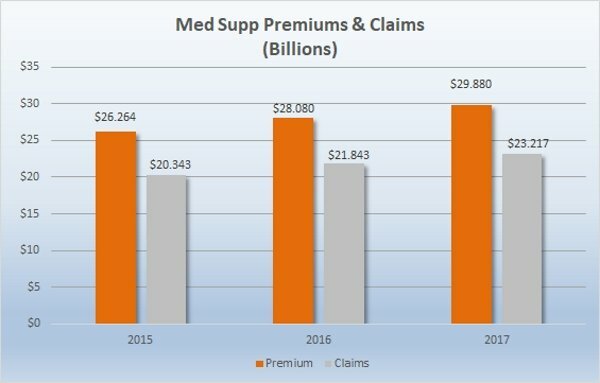 Med Supp plans collectively earned $29.9 billion in premiums and incurred $23.2 billion in claims during 2017, up from 2016. The aggregate loss ratio (incurred claims as a percent of earned premiums) was 77.7% in 2017, a slight decline from 77.8% in 2016. 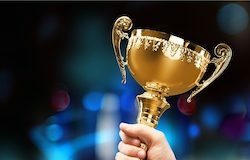 Top competitive rankings in the Med Supp market have remained consistent year over year. With its AARP contract, UnitedHealth continues to hold 34% of the market with 4.5 million members; a 4% increase from Dec. 2016. Mutual of Omaha ranked second with 9% market share and 1.2 million members as of Dec. 31, 2017. Aetna supplanted Health Care Service Corporation (HCSC) as the third largest plan in 2017 with HCSC falling to the fourth spot. Anthem remains in the fifth ranking position for market share. While not currently in the top 5, Cigna experienced strong growth, increasing by 170,000 members, or 68%, over 2016. The majority of Cigna’s growth was in their Plans F & G.
The top 10 companies command almost 69% of the Med Supp market with nearly 9 million members. The balance of 4.1 million enrollees is distributed across a wide array of other insurance companies selling Medicare Supplement products. The Medicare Supplement market continues to grow as people 65 and over comprise an increasing proportion of the population. With approximately 62 million Medicare beneficiaries in the U.S., Medigap policies are a popular option for seniors because they can help pay some medical costs not covered by Original Medicare. 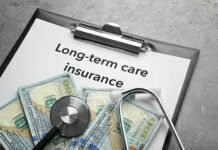 Therefore, opportunities abound for health insurance carriers to broaden their senior market portfolio and expand product options in order to keep up with industry trends. As always, MFA will continue to monitor enrollment and plan performance in this competitive segment. 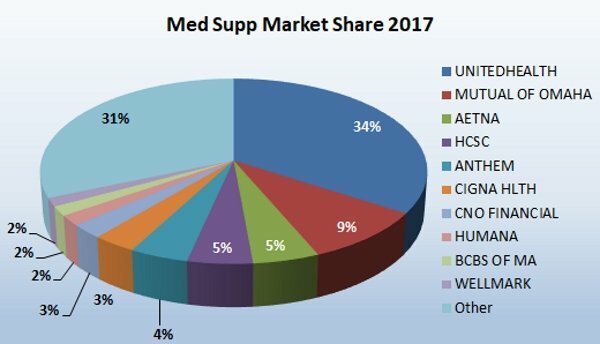 About Med Supp Market Data: Med Supp Market Data, a subscription option through Mark Farrah Associates’ Health Coverage Portal™, presents the latest market share and financial performance data for Medicare Supplement plans. The product includes state-by-state membership, premiums, claims and loss ratios for plans nationwide. Online tables also include claims contacts as reported in the financial statements as filed with the NAIC. California managed care plans do not file financial statements with the NAIC and are not included in this analysis. For more information about Med Supp Market Data, visit www.markfarrah.com or call 724-338-4100. About Mark Farrah Associates: Mark Farrah Associates (MFA) is a leading provider of health plan market data and analysis tools for the healthcare industry. Our portfolio includes Health Coverage Portal™, County Health Coverage™, Medicare Business Online™, Medicare Benefits Analyzer™ and Health Plans USA™ – www.markfarrah.com.